Tablets seem to lose the ability to save itself from years-long slump in sales. It is hard for iPad to set the world on fire again. That doesn't mean the tablet market is dead in the water. Microsoft Surface is starting to thrive, Apple is still innovating. If you lack one awesome pad, the best tablets 2016 below are worth buying. Look at the below candidates running Android 6.0, or Apple iOS 10 or Windows 10, read carefully the best tablet 2016 review, and pick up the top one to buy. MacX Video Converter Pro enables you to download free Hollywood Disney Hindi movies blockbusters of 720P, 1080P, 4K UHD, and hit MP3 songs MP4 music videos from YouTube, Vimeo, Vevo, Dailymotion, Letv, 1000+ sites for offline playback on best tablets 2016. 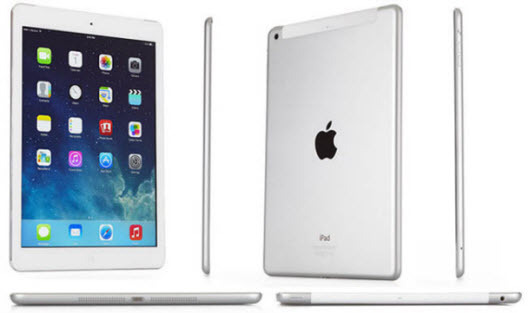 OS: iOS 10 When it comes to best tablets 2016, Apple's rumored iPad Air 3 can not be ignored. Compared with iPad Air 2, this one is expected to be thinner and better in performance thanks to new OS iOS 10 and A9X processor. 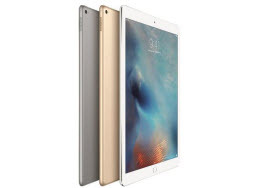 As users require good camera in this age, Apple is going to use up to 8-megapixel camera in iPad Air 3, making it the best tablet 2016 for picture shooting also. The megapad iPad Pro is expected to replace Windows PC, but it failed. The new 9.7-inch iPad Pro 2 is be much improved, but The new iPad Pro has no 3D Touch, with superior screen technology to the iPad Pro 12.9. Smart Keyboard of the best tablet 2016 is more flexible, Pencil is enhanced. The big surpise comes in its camera, with front and rear cameras shoot at a higher resolution, larger pixel size and faster aperture than 12.9 iPad Pro. 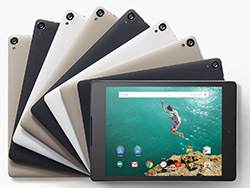 New Nexus 7 tablet is the best budget pad in 2016 priced at only $218. It will be launched in May 2016 to ward off the stiff best tablets of 2016 competition. It is hard for Nexus 7 (2016) to edge over Apple iPad Air 3 in performance, but A 2560 * 1800 res flat computer running Android 6.0 is a real bargain. iOS 9 vs Windows 10 vs Android 6.0, Android has its advantages. Surface Pro 4 vs iPad Pro, SP4 is seeing increasing sales and surpassed iPad Pro in October, becoming one of the best tablets 2016, 2015. SP4 is pretty good but not perfect, such as battery life. 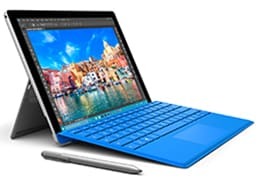 Surface Pro 5 is expected to be faster, smoother and have two batteries to enhance battery performance. The best tablet 2016 running Windows 10 will be equipped with Win 10 update RedStone, Edge browser, and have Continuum mode. The supersized one from Samsung is set to be a replacement of TV. It's hard to define this best tablet of 2016, not a TV, more than an ordinary mobile device. If you want a TV and pad hybrid, Galaxy View is the one. 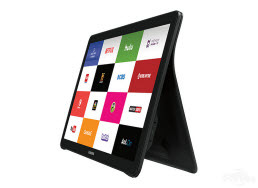 It's a great choice to watch YouTube, Hulu, Netflix, movies videos. So a solid movie downloader is helpful to watch movies offline. Note it brings inconvenience to take it on the move. No matter how great the best tablets from 2016 are, they are far from perfection without any movies on them. Streaming movies online is not a good choice all the time, downloading movies torrents on the 2016 top pads puts your device at risk of being attacked by virus. Now, watching movies DVDs on top rated tablets 2016 is nothing new. 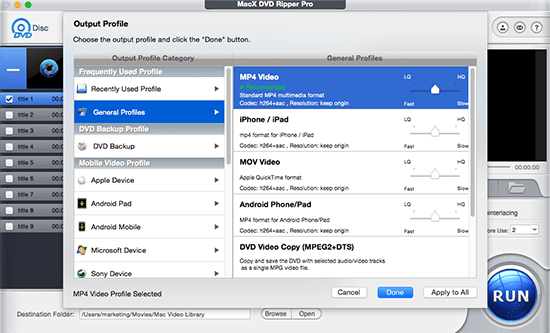 All you need is a robust DVD ripper, like MacX DVD Ripper Pro. It bypasses DVD copy protections( Region Code 1-6, Disney DRM, CSS, UOPs, etc.) and copy DVDs to best tablet 2016, iPad Air 3, iPad Pro 2, Nexus 7(2016), Surface Pro 5, etc. or digital format MP4, AVI, MOV, WMV, and more with no quality loss yet 36× faster speed. Ripping and watching movies DVDs on top tablets of 2016 can be so easy and fantastic. 1. Download and run the DVD ripper. Insert DVD disc to your computer hard drive. Click "Disc" icon to load the DVD. 3. Click "Browse" button to select a destination folder. 4. Click "RUN" button to start ripping DVDs to best tablet in 2016.